Traditional cash has long been envisioned to be replaced with ‘virtual’ or electronic cash. Electronic money and electronic payment systems for retail transactions are commanding widespread attention. Undeniably, electronic payment cites advantages such as efficiency and convenience to the consumers. However, with the rapid change and advances in technology, has posed significant risks, related to ensuring security and integrity of electronic payment systems in today’s cyber world. 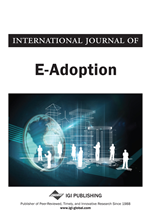 Therefore, this study attempts to understand the role of electronic payments for consumers, and to identify the problems and solutions in the emergence of electronic payments. This study also explores the challenges of electronic payments from a security perspective, in particular, and provides preliminary security countermeasures for each of the issues discussed. Beside that, the study also discusses further on the prospects of electronic payment systems. It is essential to put in place an integrated, overall risk-management approach to security, including independent security assessments as one of the components in the use of electronic payment products.